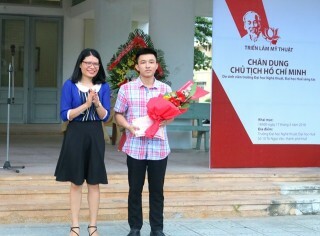 Results for "chi cục 2.6"
Art exhibition entitled "Portrait of President Ho Chi Minh"
On the afternoon of May 17, the University of Arts - Hue University inaugurated an art exhibition of students with the theme "Portrait of President Ho Chi Minh." 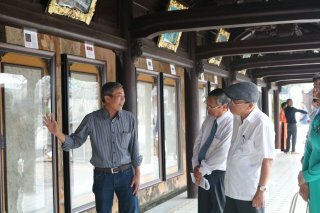 The exhibition "Poetry on Hue royal architecture through Truc Chi art" is a combination of two types of art, including poetic calligraphy on royal architecture and Truc Chi art. 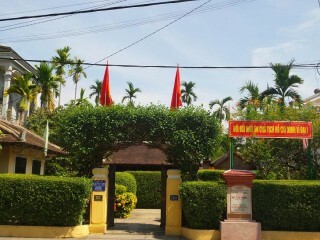 The provincial People's Committee decided to allocate VND 1.6 billion to renovate and embellish the monument of President Ho Chi Minh's childhood at 112 Mai Thuc Loan street (Hue City). 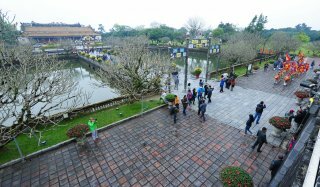 On the occasion of 43th anniversary of Thua Thien Hue province’s liberation day (March 26, 1975 – March 26, 2018), the Hue Monuments Conservation Center will offer free-of-charge entrance to the relics complex in the provincial area on March 26 for the locals, students and Vietnamese tourists (except foreign tourists) coming to Hue. 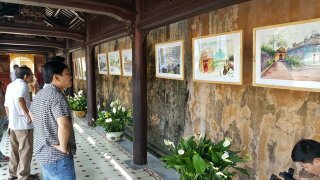 "The Journey of Truc Chi" exhibition, which is opened at the gallery of the Imperial Hotel, introduces to the public 132 Truc Chi works of 35 authors, including 47 works of 25 artists and 85 works of 10 students majoring in Fine & Applied Arts and Architecture of Hue University. These works were made in the workshop of "The Journey of Truc Chi" taking place from December 9-16. Young people are having the opportunity to experience and make Truc Chi at "The Journey of Truc Chi" workshop, taking place from December 9-16. 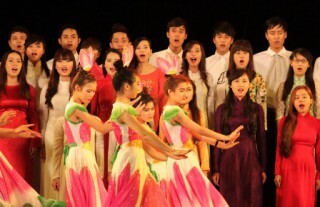 The singers of the Hue Academy of Music will participate in the arts exchange program taking place at the Ho Chi Minh City Conservatory of Music on November 1. 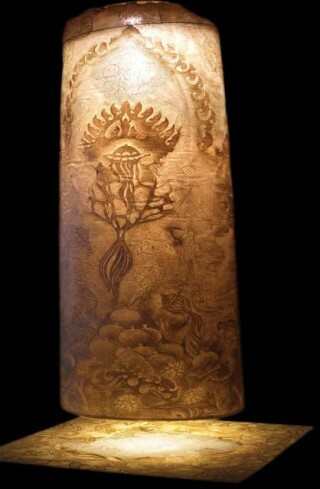 Truc (bamboo) represents the magnanimity, Chi (paper) is a thread linking the debris and the individuals. 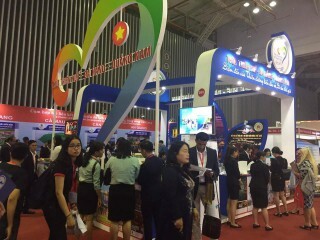 Truc Chi is probably considered as the connection between tradition and modernity. The bamboo which is familiar as an evergreen fence around the village from a long time ago suddenly becomes a boat carrying art and transporting culture. Not any longer is that boat bobbing on the lakes, streams or rivers, but crossing the ocean to the far-away lands.